Music Scene was the only weekly broadcast television series featuring musicians and venue owners across the Gulf Coast. 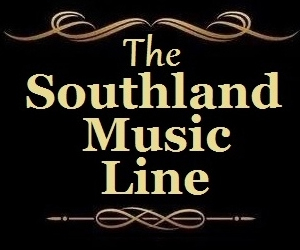 Originally put together by Johnny Cole, creator of the nationally recognized Southland Music Line, to air on the now defunct WKFK DTV-7’s “Gulf Coast Variety Show.” Musical performances and interviews were a regular element to the series, but Johnny Cole’s role as the host elevated the conversations to another level with his intimate knowledge of the music industry and respected relationships across the coast. Johnny Cole has spent a huge part of his life pursuing his dream of searching for great music. Since his first concert on Jan. 20, 1973, in Mobile, Alabama to see Elvis Presley, he knew music would become a major part of his life. During the 1980s-90′s, he lived in New York City and Washington, DC (area), but has since returned home to his Southern Roots (Johnny was born in Gulfport, MS). Johnny has written articles about the infamous New York City club CBGB and Maxwell’s in Hoboken, NJ; the bands Lone Justice, The Replacements and the film “Almost Famous” (click here for a list of articles). He has a lasting love for the Athen’s Georgia Music Scene dating back to around 1981 with bands like REM, Pylon, Love Tractor, Flat Duo Jets and more. Also his love for Asbury Park, NJ and the music of Bruce Springsteen has been a major part of his life since the 1970s.